Hello Lauren. I've been visiting and enjoying your blog for a few months (I think I came here through Jesse Breytenbach's blog). 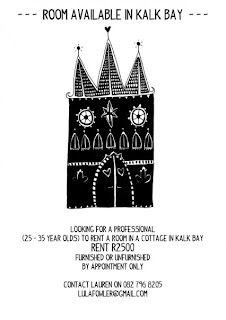 Just want to let you know, also, I really like your website/work logo, and the illustration for your housemate advert is wonderful!